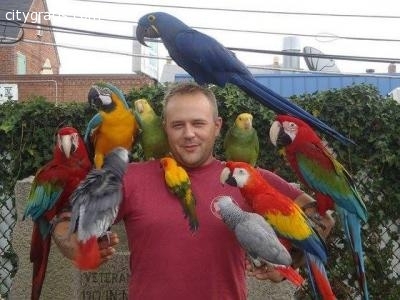 Our parrots are hand raised,tamed, affectionate, intelligent and well socialized. We also sell fertile eggs of the above mentioned birds as well as incubators of all sizes and shapes. All our parrot eggs have a 100% hatching guarantee and we do a replacement or money refund incase an egg do not hatch. We ship parrots and fertile eggs worldwide alongside all documents and certificates. El anuncio expira en: -771 días.